"I saved £50,000 a year by switching to Cloud Accounting"
From 1 April 2019 the Government is introducing Making Tax Digital (MTD). MTD will require VAT registered businesses to file their records digitally using one of the systems they have identified as being compatible with Making Tax Digital. 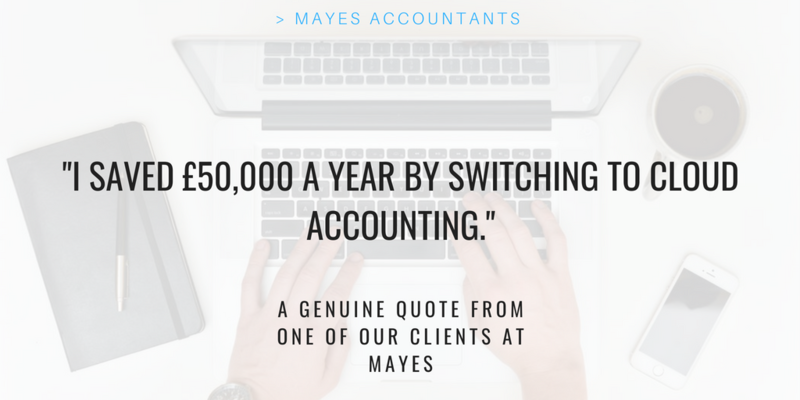 We believe that two of these systems - Xero and Quickbooks - could really benefit your business. We are putting on a free seminar called “Saving Time & Cost – The Benefits of Cloud Accounting” which we'd like to invite you to where we will show you both systems and discuss them both for you to see which one will be better for you. One of our clients told us that we have genuinely saved them £50,000 by implementing Cloud Accounting into their business. So if you'd like to see how to make those kind of savings, please come along. If you would have been interested in attending and would like to be contacted for any future dates then you can give us a call on 01254 300 050 to register your interest and we'll be sure to be in touch.